Job security is mostly a thing of the past. The average employee tenure hovers around four years, according to the Bureau of Labor Statistics. Very few workers will retire having worked for the same employer for most of their career. Not all job changes are voluntary. Sometimes, employees won’t even get a great deal of notice prior to their termination. And occasionally, firings happen seemingly out of the blue, with no sign that the employer is planning to let employees go. If you think that you might lose your job, you’re probably wondering what kind of reasons your employer needs to fire you. Do they need a “good” reason, and if so, what does that mean? Is it legal to fire someone without good cause? And, what can you do if it happens to you? Unfortunately, getting fired without a reason can happen to just about anyone. In many cases, unless there is a contract or bargaining agreement, employees are considered covered under employment at will, which means your employer doesn't need a reason to fire you. In fact, it might be easier for them to get rid of you for no reason at all than to specify the cause, which could leave them open to accusations of discriminatory behavior. This sometimes works out in employees' favor, as some companies will term almost any separation a layoff, which often entitles workers to unemployment benefits, in order to avoid potential legal wrangling down the road. But even if it beats the alternative – being fired without cause or a financial cushion – unemployment or severance isn't much consolation when you've been let go for no reason. Let's look at why it's so easy for employers to fire workers without giving cause. For most states in the U.S., employment at will has become a standard precedent of employment contracts in recent years. At-will employment is an employer-employee agreement in which a worker can be fired or dismissed for any reason, without warning, and without explanation. Check with your state department of labor for regulations in your location. Most at-will employees are informed and even required to sign waivers indicating their acknowledgment of being hired "at will." As a result, loss claims for being fired under this kind of agreement typically get denied by the court. Similarly, this type of employment also means that an employee has the right to leave his or her job without any reason or warning, although it is politer and more socially acceptable to give at least two weeks' notice. While it might seem unfair to be expected to give your employer two weeks' notice, when they can pretty much terminate you without notice – and often will, to prevent retaliation – remember that your reason for giving notice is actually a selfish one. You want to build a network of former colleagues who think well of you and would give you a recommendation without reservation. Giving notice helps ensure that this will be the case. Some employees are covered by an employment agreement or employment contract, which typically outline terms of employment. These contracts may also detail the circumstances and terms under which an employee can be fired. Other employees are covered by union or association agreements known as collective bargaining agreements. These agreements typically also detail when and how an employee can be fired. An employee can be wrongfully terminated if discrimination is involved in the termination, if public policy is violated, if they’re a whistleblower, or if company policy states guidelines for termination and then the company fails to follow those guidelines. You might also be wrongfully terminated if you were forced to resign because your employer made working conditions unbearable. This is called “constructive discharge,” and it includes harassment, mistreatment, and reduced pay for non-work-related reasons. 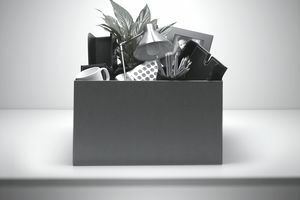 What can you do if you've been fired? There is a right way and a wrong way to handle the situation. In short, you want to leave your position as gracefully as possible, under the circumstances, to minimize the fallout for your career. This means resisting the urge to storm out of the building or to say bad things about your boss or the company (either at that moment or later on, in job interviews). The best thing to do is to take a beat to consider your situation, and then arm yourself with as many facts as possible. Find out how you’ll collect your remaining pay, for example, and what happens to any accrued vacation time or vested benefits. Know your rights, especially if you think that you were wrongfully terminated. Finally, don’t assume that you’re ineligible for unemployment. Check with your state unemployment office to find out whether you can still apply. Also, don't assume you have no recourse if you have been wrongly terminated. Depending on the circumstance and the law, you may be able to sue for wrongful termination. Can You Get Fired Without Notice?